People love pillow prophets. They hate true prophets. Pillow prophets tell people what they want to hear. They cry, “Peace and safety!” when danger is imminent. True prophets warn of danger and cry for repentance. When Jeremiah told the people of Judah that it was God’s will for them to surrender to the Babylonians and go into captivity, he was demonized as a false prophet and a traitor, and the people tried to kill him. 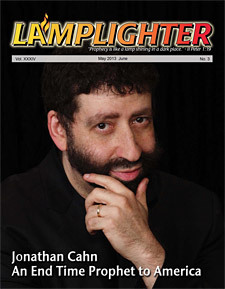 In like manner, Jonathan Cahn has been the victim of irresponsible and vicious attacks. He has been accused of “parading as a prophet.” Others have branded him a “false prophet.” These charges are reckless, unwarranted and un-Christ-like. 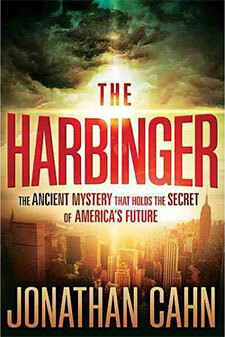 Jonathan Cahn’s message is thoroughly biblical. It is not based on any new revelation from God. 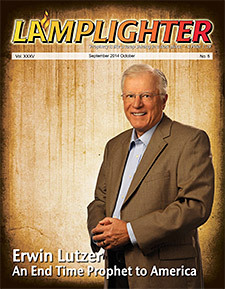 Rather, it is based on the biblical principles that govern God’s relationship with nations. These are principles that I outlined in detail in my 2003 book entitled America the Beautiful? The United States in Bible Prophecy (revised editions in 2006 and 2009). Furthermore, the Bible defines a false prophet as one who prophesies events that do not come to pass. If Rabbi Cahn prophesied that a specific event would take place on a specific date and that date were to come and go without the event happening, then he could legitimately be labeled as a “false prophet.” But he has done no such thing. Others have attacked Rabbi Cahn because they argue that he has taken a scripture directed to ancient Israel (Isaiah 9:10) and has applied it to the United States. Again, I ask, “What is wrong with that?” If the scripture is applicable, why not apply it to our nation? This particular scripture contains a timeless principle about repentance that even applies to pagan nations. Thus, when God sent the prophet Jonah to the pagan city of Nineveh with a message of “Turn or Burn!” the Lord changed His mind when the king put on sack cloth and ashes, repented, and called for the whole city to do likewise. Many of the criticisms of Rabbi Cahn’s message are based on unwarranted conclusions that people have jumped to in an effort to find something to criticize. For example, he has been accused of teaching that America is in a covenant relationship with God. The fact of the matter is that he has never said that. He simply notes that America’s founding fathers believed that, and therefore they consecrated the nation to God. 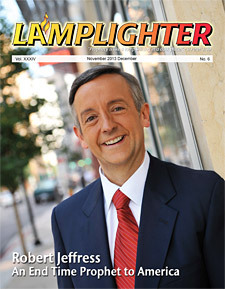 As I reported in a recent issue of this magazine, I was not particularly impacted with Rabbi Cahn’s book, The Harbinger. Its writing style was not my cup of tea. But so what? It greatly impacted tens of thousands of others, and I was immensely impressed with the overall message of the book. 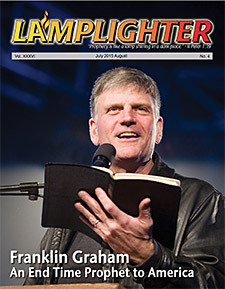 It contained a biblical message that I believe the American people desperately need to hear, and I was delighted over the book’s success as it rose to the top of the best seller list. What impressed me even more was Rabbi Cahn’s sermon which he presented at the recent Presidential Inaugural Breakfast in Washington, D.C. As I watched it on YouTube, I was transfixed by the frank, biblical content of the message and by Rabbi Cahn’s powerful, anointed delivery of it. The current unbridled, petty and vicious attacks on Rabbi Cahn smack of what I would call “Christian McCarthyism.” For those of you who might not be familiar with what I’m referring to, let me explain. Senator McCarthy met his Waterloo when he decided to attack the U.S. Army, claiming many of its top officers were tainted by Communism. This action hurt him in two ways. First, it turned President Eisenhower against him. Second, the Army hired a defense counsel who would surprisingly prove to be very formidable. 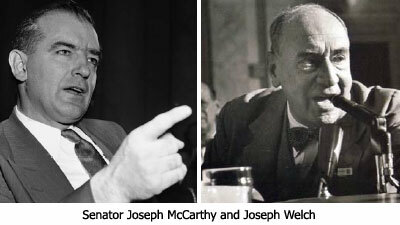 I say surprisingly because the attorney, Joseph Welch, seemed to be someone who would be eaten alive by McCarthy. That’s because Mr. Welch had a high, squeaky voice and an elf-like appearance. Look folks, many of us need to… stop nitpicking everything the Lord is trying to tell us and just listen to what He is saying in whatever manner He chooses to say it. Even in my own experience of writing articles, every now and then, someone emails me who just wants to nit-pick at something I wrote while missing the message of the article. The phrase comes to mind, “They’re so heavenly minded, they’re no earthly good.” We need to humble our hearts and stop being so self-righteous. The nit-picking, Pharisaical hyper-critics of Christianity need to be reminded of the wisdom of Gamaliel which he shared with the Sanhedrin Council when they arrested Peter and the apostles and desired to kill them (Acts 5:29-33). Gamaliel stated that if what the followers of Jesus were teaching was false, nothing would come of it. “But if it is of God, you will not be able to overthrow them.” He then added, “You may even be found fighting against God” (Acts 5:38-39).